Pink used to be a color that was girly and cute. Not anymore. 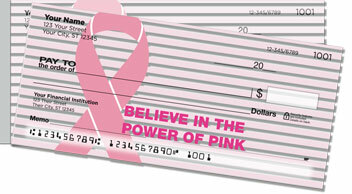 Today the color pink is associated with strength, solidarity and positivity. It stands for the women who've fought bravely, and for the loved ones who stood by their side when times were tough. Dealing with breast cancer isn't easy. But the power of pink reminds you that you're not alone. 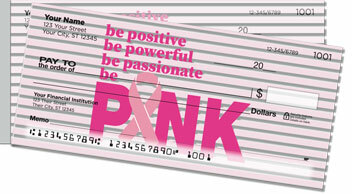 These inspirational checks are another excellent way to raise awareness and show support. Let's keep fighting until we find a cure! 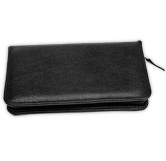 This convenient product features a shorter perforation on the left side. 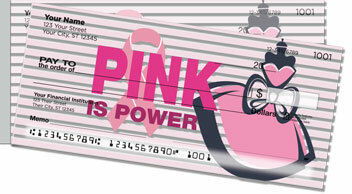 That will make it a lot easier to remove your new checks without unwanted ripping and waste. Get your very own Power of Pink Side Tear Checks now! Complete your order by adding matching return address labels. 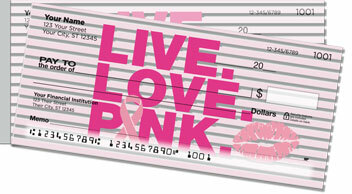 CheckAdvantage proudly donates a portion of proceeds from these designs to Breast Cancer Charities of America.